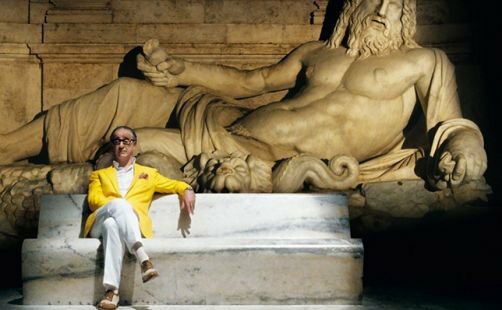 Still from Paolo Sorrentino’s “The Great Beauty.” Credit: http://1.bp.blogspot.com. All rights reserved. What’s going on in Paris? This year over four thousand Parisians have been consulted on how to allocate twenty million Euros across fifteen projects that aim to improve the quality of life in the French capital. Anne Hidalgo, who was elected as the Mayor of Paris in April 2014, has introduced a participatory budget process to give citizens an opportunity to decide on the allocation of five per cent of the capital’s investment budget. For the first time in France, a politician is giving citizens some degree of direct control over public expenditure—a sum amounting to 426 million Euros in total between 2014 and 2020. This is an example of social innovation, but not the pseudo-revolutionary, growth-obsessed, blind-to-power variety that’s constantly hyped by management consultants and public policy think tanks. Instead, people are actively involved in planning their own shared future. They’re entrusted with the responsibility of devising ways to improve life in their communities. And the process is coherent with the purpose: everyone, not just the ‘experts,’ has an opportunity to have their say in an open and transparent online platform. Participatory budgeting isn’t new, but this kind of public participation in processes of social innovation is a welcome and growing development across Europe. Public institutions need more participation from stakeholders and citizens to do their jobs. The political challenge of our time—the challenge of democracy in Europe—is how to channel people’s passion, expertise and resources into complex and long-term projects that improve collective life. This challenge has motivated a group of researchers, policy-makers and practitioners to join together in a project called INSITE (“Innovation, Sustainability and ICT).” INSITE is exploring the cascading dynamics of social innovation processes, and investigating how people can regain control over their results by freeing themselves from dependence on political intermediaries and experts. INSITE started with the idea that societies’ love affair with innovation may be misplaced – at least with respect to the way that social innovation is currently conceived and organized. The lion’s share of attention goes to products that make a profit—not processes that enhance the collective good or transform systems, structures and values. The hype around the “Innovation Society” also obscures the fact that innovation processes bring about cascades of changes that are unpredictable, and may produce toxic side-effects. Just think about the growth of new kinds of financial instruments which exploded in the sub-prime mortgage disaster, triggering the financial and economic crises that have dragged on since 2008. Market-driven cascades of innovation have also contributed to global warming and obesity epidemics in the industrialized world. Not everything that’s innovative is valuable or effective. Since 2008, researchers from INSITE and elsewhere have been trying to address this question by refocusing innovation theory on social questions, power relations and democratic concerns. For INSITE, the “social” in “social innovation” isn’t simply a marker for a target group in society or the social intentions of innovators and entrepreneurs. It stands for something much deeper: giving power back to society to direct innovation processes towards greater prosperity for all. In this conception, social innovation challenges the foundations of the “Innovation Society’s” narrow ideology. It provides an alternative through which engaged citizens can mobilize to construct a socially sustainable future. How might this work? Here are some examples. Following the nuclear disaster at Fukushima, Japan, in 2011, an independent group of citizens began to publish radiation levels online. They challenged the veracity of the official data, but how could the group—called “Tokyo Hackerspace”—have access to better data than the government? Nuclear energy is a high security field. What happened was that the group used open source technology to build home-made Geiger counters, and relied on volunteers to measure levels of radioactivity independently. It turned out that the data collected by citizens were more accurate than those released by the Japanese government. “Tokyo Hackerspace” developed an independent system to collect the data, raise awareness of the risks faced by the population, and hold government accountable. Fast forward to the 86th Academy Awards in Los Angeles in 2014, when Italian director Paolo Sorrentino’s “The Great Beauty” won the Oscar for best Foreign Language Film. Many Italians were unhappy with the film’s portrayal of a society wrapped in a beautiful cover made of Italian heritage and landscapes. So a young film producer called Lorenzo Gangarossa had the idea of asking ordinary citizens to contribute to presenting a different image of their country. The result was “Italy in a Day,” one of the first crowd-sourced films to be released. 44,000 videos were filmed by Italians on the same day, edited together by Gabriele Salvatores, and produced into a film by Ridley Scott. When thousands of Italians were given the chance to co-create a composite image of their country, the resulting picture was the opposite of the one that had been celebrated by film critics and the media. Dynamic evaluation attempts to break free from current practice in a field that’s monopolised by experts and limited to narrow input–output calculations. In a dynamic evaluation, every member of a group or community is given the opportunity to take part in the process by telling their story. An online platform then allows them to store these stories, compare them with each other, and identify commonalities, inconsistencies, and patterns. It’s an approach to evaluation that should help people to gain more control over the process of social innovation by democratizing impact assessment, a domain where a small elite of experts usually maintains control. These stories from France, Italy and Japan provide ideas and inspiration, and the list of serious social innovations is getting longer by the day. But there are still many questions to be addressed. Why is only five per cent of Paris’ budget subject to public consultation? Why didn’t more than a fraction of Italy’s population take the time to make a home-made video when they were unhappy with the public image of their country? Inspiring stories do not add up to the systemic transformation of society and its institutions. To achieve that goal, political leaders must foster innovations in participatory democracy at a much bigger scale. That is the challenge that lies ahead for Europe.